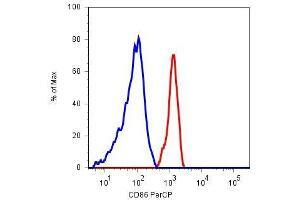 Surface staining of human peripheral blood cells with anti-CD86 (BU63) PerCP (monocyte gate). 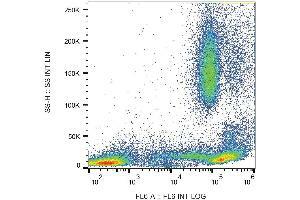 Surface staining of human peripheral blood with anti-human CD44 (MEM-85) purified / GAM-APC. 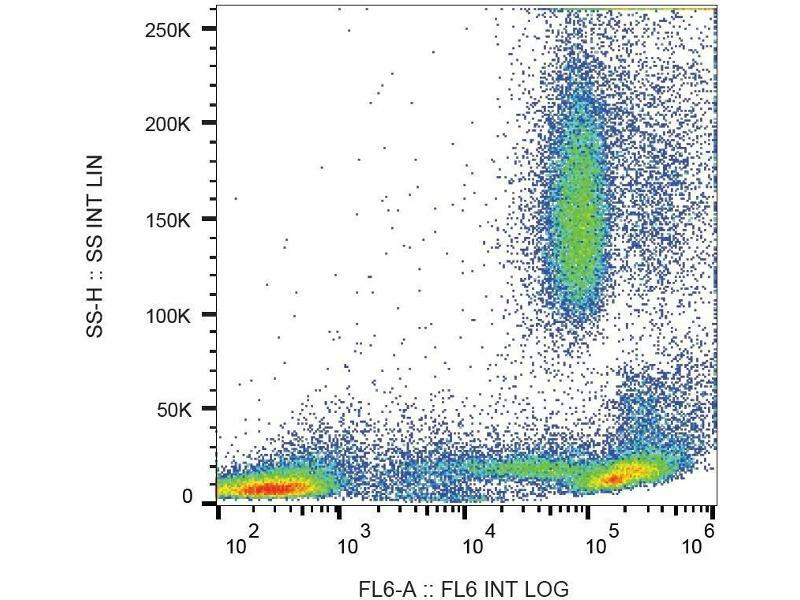 Specificity The antibody BU63 reacts with CD86 (B7-2), a 70 kDa type I transmembrane glycoprotein of immunoglobulin supergene family, expressed on professional antigen-presenting cells, such as dendritic cells, macrophages or activated B lymphocytes. Background CD80 (B7-1) and CD86 (B7-2) are ligands of T cell critical costimulatory molecule CD28 and of an inhibitory receptor CTLA-4 (CD152). The both B7 Molecules are expressed on professional antigen-presenting cells and are essential for T cell activation, the both molecules can also substitute for each other in this process. 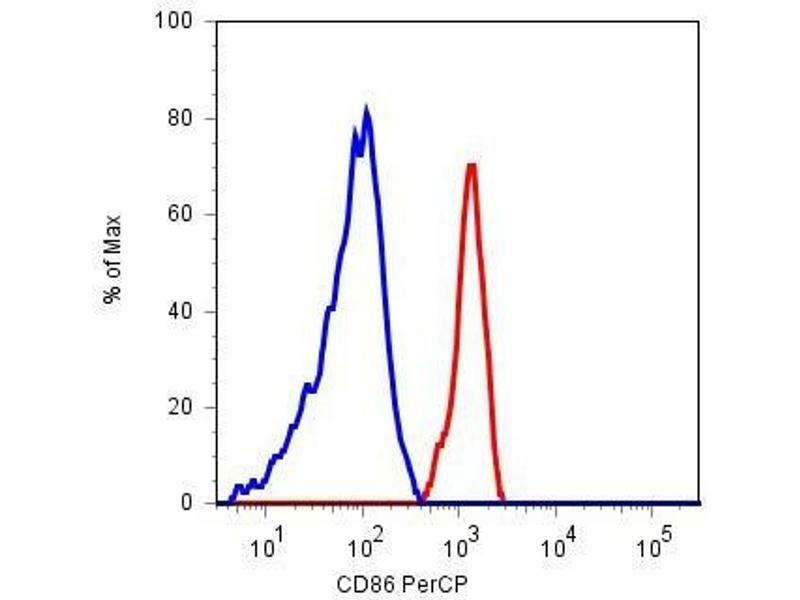 The question what are the differences in CD80 and CD86 competency has not been fully elucidated yet, there are still conflicts in results about their respective roles in initiation or sustaining of the T cell immune response. Handling Advice Do not freeze. Storage Comment Store at 2-8°C. Do not freeze. Do not use after expiration date stamped on vial label.